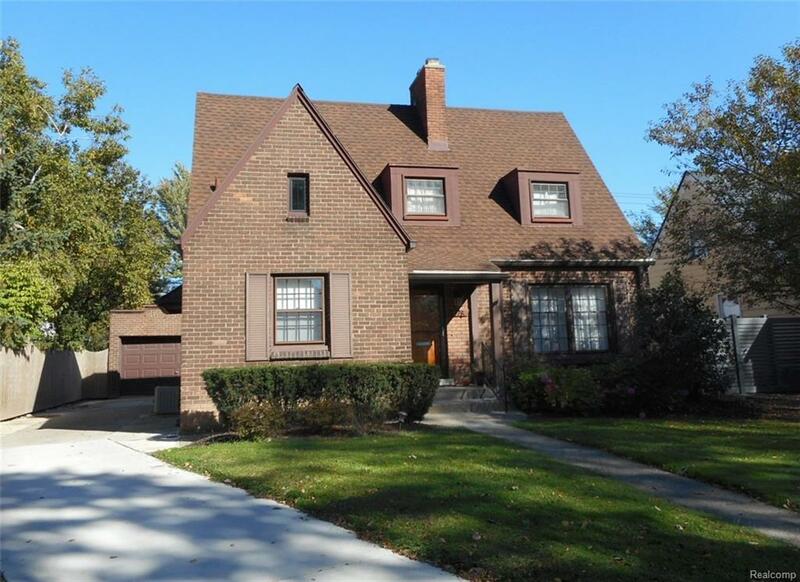 Fantastic Cape Cod with first floor bedroom in Grosse Pointe City! New kitchen with stainless steel counters and new appliances included. Refinished hardwood floors and freshly painted throughout. New full bath on the main floor with full body shower panel and an OVE toilet. Large master bedroom on the 2nd floor with natural fireplace, walk in closet and second floor laundry single unit washer/dryer. Three fireplaces. Charming, low maintenance backyard landscaped with porcelain patio and vinyl privacy fence. Walk to the Village, schools and restaurants. The living room curtains are negotiable. This home is ready for you to just move in - immediate occupancy!